So, as you probably already know by now. St. Vincent is in town right now. She played an in-store at Waterloo Records yesterday afternoon with a headlining set at the Mohawk's outside stage. I didn't attend the Waterloo performance but I was at the VERY sold-out Mohawk last night. All day yesterday I was excited about seeing St. Vincent then dinner time rolls around and I got all caught up in domestic-type duties. Next thing you know it's 9:30p and I'm effing with the dishwasher, my boyfriend ask, "Aren't you going to that show tonight?" At this point panic sets in because I realized Pattern Is Movement would be on stage in 15 minutes and I live 20 minutes from downtown. Also, it's always a pain to find a parking space after 9p on a Friday night. So I rush down to the show pay for parking (boo) and head over to the venue. I still had the extra ticket though, so I decided I would stash the ticket and give clues via Twitter so someone would find it. Long story short no one found the dang ticket, I put a picture and specified, where it was and everything but it was too close to show time for that happy business. The 'Hawk was so crowded there was virtually no place to comfortably stand and see the show simultaneously and that's coming from a 6'2" tall dude. All those women who are 5'5"-5'7" I always wonder if they have ever really seen a concert before or if they just sort of hear it and catch glimpses through people's heads/bodies? So, anyway the whole time leading up to St. V taking the stage I was watching my ticket stash spot and no one really seemed to notice. I few people actually walked within millimeters or it without noticing the reflective stripe. After awhile St. Vincent came out and I sort of forgot all about the ticket until she played Save Me, From What I want. For whatever reason that song reminded me so I walked over to the balcony and yelled down to people on the sidewalk. I told them where the ONE ticket was sitting, they seemed confused more than excited. This is the best part though, after all that waiting for someone to find it and it ends up that a group of 5 heard me yell and all went for the ticket. No one rushed or was rude or anything it was very mature, they just sort of strolled over to it, picked up the lone ticket and began a great debate. I watched the debate for awhile but then grew board with it. I wonder, which, of the five people ended up inside the packed house? Word from a former employee, who was at the Mohawk earlier in the day said that St. V's sound tech took two hours doing the sound-check. They also made the Happy Hour DJ turn off their music so they could get absolute concentration. This may seem silly/bitchy/unnecessary but the sound was really good last night. The only downside to the sound was the sound bleeding over from Club Deville. I was standing at the side-stage/middle deck area for awhile last night but the sound from next door was ruining the experience, especially considering I couldn't see anything as it was. The crowd was definitely a "hometown" crowd, this wasn't a show where the artist was trying to win an audience over. This was a triumphant, victory lap show, in other words she was pretty much preaching to the choir last night and the choir gave an, "Amen!" I'd say the 13 song setlist was fairly evenly split betweeen her two LPs, she opened with the title track from Marry Me, which I just read was a reference to the show Arrested Development. Remember when Maeby was a movie exec and she would respond, "Marry Me!" whenever flustered/backed in a corner? I guess that inspired St. Vincent to use the phrase. Speaking of Marry Me I looked out over the see of people last night as she played Now, Now and I saw countless love-struck faces. It was sort of hilarious staring out into this see of adoring puppy-dog eyes. I think each person there was thinking, "If only she would talk to me she'd now how perfect we could be together. *sigh*" This isn't limited to any specific gender or sexual orientation. I think even some of us gay men were a bit enamored with this beautiful woman, with the voice of an angel who plays the devil's guitar. The performance was riveting overall, the 4-6 instrumentalists on stage did an excellent job of re-creating all of the textures from the albums. The only down sides to the experience are atmospheric. There was the already-mentioned sound bleeding, and the lack of good places to see the stage from but by far the WORST thing about MOST shows I attend in Austin is the lack of reverence. Yes you are at a bar, yes you're friends are here, yes this is a good-times/party atmosphere HOWEVER it is also an artistic performance. So if people could try to impress their dates with their witty banter BETWEEN sets I'd appreciate it, thanks. This was mostly a problem on the Mohawk's upper-patio the pit/floor area was too crowded for chattiness/living. All in all the whole thing just made me ridiculously excited to see the perfection that is St. Vincent within the perfection that is the Austin City Limits television sound-stage tonight. 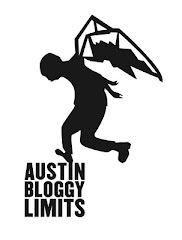 I just read that the capacity of ACL TV is roughly 325 and I know for a fact that you can see from everywhere in there, there won't be ANY sound-bleeding, or chatting. YAY!! Oh yeah and the temperature will be perfectly air-conditioned. Seeing ACL TV in person has totally spoiled me now, but I'm Ok with that. So did anybody see St. V twice yesterday? Anyone seeing her three times while she's here in Austin? DB2: "I can't see her!" DB2: "Oh yeah, she's hot."